Our Duchess’ are away today, each flying a pre-test sortie. Quentin on board Mike Whiskey, has headed west towards Exeter to carry out his approaches with instructor Blackadder 01. Meanwhile, Airline Pilot Academy student Vinesh Patel has donned his life jacket for his flight across the English Channel, ready to carry out his approaches in Alderney with Blackadder 26. The flights are designed to simulate the real skills test. 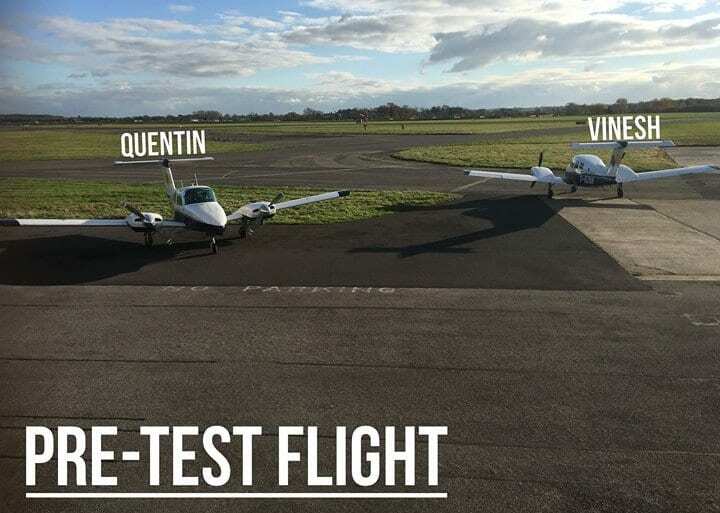 It will take them through the sequence in which they will fly the test as well as possible routes they may expect to receive from their CAA examiners. They are expected to make their own decisions throughout all stages of the flight with minimal input from the instructors. The success of which, would mean a recommendation for test.